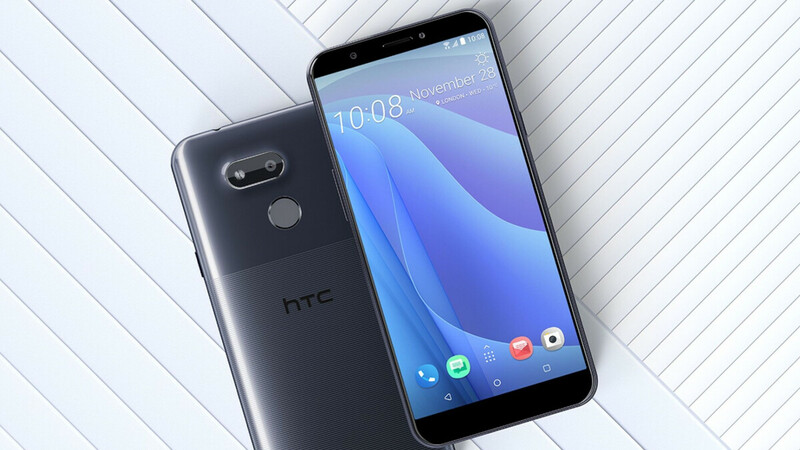 HTC may not be giving up on the smartphone market yet, hoping 5G connectivity and blockchain technology will somehow get the financially struggling company back in the game, but until that happens, the instantly forgettable Desire 12s has just been formally unveiled and commercially released in Taiwan. This is the tech giant’s first “mainstream” device in several months, and seeing as how the Desire 12 and 12+ are widely available in Europe, an expansion out of Asia definitely doesn’t feel out of the question for the HTC Desire 12s. There’s obviously no need to own cryptocurrency to purchase this modest 5.7-incher, which starts at the reasonable equivalent of $195 or so in HTC’s domestic market. Unfortunately, you don’t get a lot of bang for your (Taiwanese) buck, as the entry-level configuration includes 3GB RAM and 32 gigs of internal storage space. A 4/64GB variant fetches around $225, but just like the lower-end model, this packs a humble Snapdragon 435 processor. The 5.7-inch display doesn’t look all that bad, sporting relatively thin bezels (by low to mid-end standards), but alas, the HD+ pixel count (1440 x 720) also feels a tad on the underwhelming side of things. The U12 Life-borrowed two-tone design is certainly a nice, elegant touch for an otherwise uninspiring product, aiming to offer the best of both worlds with an original glossy texture and matte finish combination. Still, there’s simply nothing exciting or “modern” about the HTC Desire 12s specifications. We definitely understand why a conventional rear-mounted fingerprint scanner was chosen over a cutting-edge in-display biometric recognition solution, but single front and rear-facing cameras (13MP each) sound like a tough sell in this day and age. Especially when the rear shooter looks so... weird. The pre-installed Android 8.1 Oreo software doesn't feel ideal either, while the 3,075 mAh battery is… not great, but also not terrible. HANG each and every member of it's designing team. Which $1000 phone has a 6.2 inch display and 720p resolution? Xitty XR. It costs 1000+ in my country and us is not only country in the world. Well it has an 828p display and measures 6.1 inch firstly. Secondly, it's display has 326 ppi, which is much higher and the same as the iPhone 8. Therefore it's much sharper than Desire 12s. The price is still too high in your country, but the specs are much better. 828p is still HD+, far from FHD.. It's only have ~15% extra DPI, it's not "much sharper".. If you're talking about the XR, you're wrong in more ways than one. The XR has a 6.1" display and costs $750. Next time do some research. The XR has a lot of features that justify the price as well: Face ID, water resistance, wireless charging, stereo speakers, optical image stabilization, flagship internals, need I go on? Also, the XR has a decent pixel density. It cost $750 only on US, it's more than that outside US. Mi8 also have "Face ID, wireless charging, stereo speakers, optical image stabilization, flagship internals" plus FHD super AMOLED screen. For half the price. Mi 8 is a great phone. I love it! They know what do for sure even if they sink the ship on porpoise. It is a budget phone similar to the moto g6 line. A line praised everywhere for its value. Granted the desire is a little late to the party but the g6 line is still pretty popular. HTC aren't doing well because the press and tech sites are being particularly harsh on them like ahem phonearena. The only way to save HTC is file for bankruptcy, then wait other company (Google maybe) to acquire them.